The histories of empires and the histories of war are generally written by the winner to put themselves in a positive light. It has been difficult for the U.S. empire to maintain their facade of goodness for their endeavours after World War II, and even more significantly after 9/11. 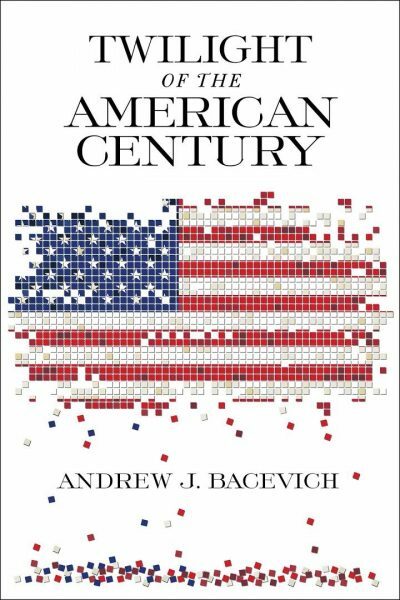 In Twilight of the American Century, a selection of his own collected writings, Andrew J. Bacevich reveals the contradictions between what is said about U.S. actions – either as anticipation or as definition – and the results of such actions. In essence, the rationalizations, the hubris, and the arrogance do not match up with the lack of accomplishments, the latter themselves ill-defined. The second and third sections, “History and Myth” and “War and Empire”,examine the differences between rhetorical expectations and the bravado of defeat as compared to the disastrous reality of the outcomes of the various U.S. wars since 2000, with a few dips into earlier history. The essays can be a bit repetitive as they are snapshots of Bacevich’s ideas over a period of time, with the disconcerting reveal as they are placed in a descending timeline with earliest essays presented later in the sections. Regardless, the message is consistent: U.S. military actions are poorly conceived, poorly enacted, poorly explained and produce clearly negative results both overseas and domestically.